Welcome to our Fortnightly update. Hoping that this newsletter finds you travelling well, looking after yourself and staying cool in what has proven to be a very hot summer! Thank you to everyone who responded to our request for a possible interview for our next Beacon newsletter. Your details have been forwarded to our communications team who will be in touch. Tagging new discussions A gentle reminder to tag any new discussion you commence in the online network. Adding tags to your new discussion will enable the thread of conversation to come up in searches within our online community. When starting a new discussion, select a category and give the discussion a title. Then type your message. Underneath your message you will notice a text box titled ‘Tags'. For example if your post is regarding hormone therapy, just type ‘h’ in the box and a list of tags will appear. You can then click on the correct tag which will then be added to the tag box. You can add more than one tag. If you have any concerns don’t hesitate to contact me @Giovanna_BCNA. Great thread commenced by SharonP which highlights the time after treatment has completed. How best to manage anxiety about returning back to work. Great thread commenced by KarynJ which highlights the power of music to help with managing emotions or soothing the soul. Great thread commenced by melclarity regarding Aromasin and weight gain. World cancer day was held on 4 February and the theme for this year was ‘I Am and I Will’. The aim of world cancer day is to raise global awareness of cancer, by highlighting cancer and raising our collective voices to empower individuals and governments to take action. Click here for more information. 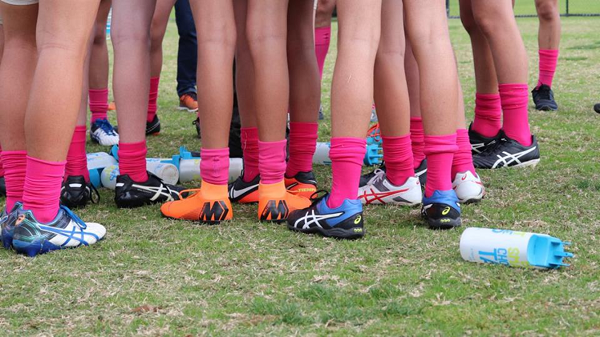 Host a Pink Sports Day to Play for BCNA. Counterpart – Women supporting women with cancer. The recent Counterpart newsletter highlighted some great upcoming events which included some webinars that you may be interested in viewing. There has been many a discussion in our online community regarding peripheral neuropathy, a very distressing side effect of the ‘Taxane’ chemotherapy agents. Consultant Medical Oncologist Shirley Wong will talk about this condition and what can be done to help manage this distressing side effect. 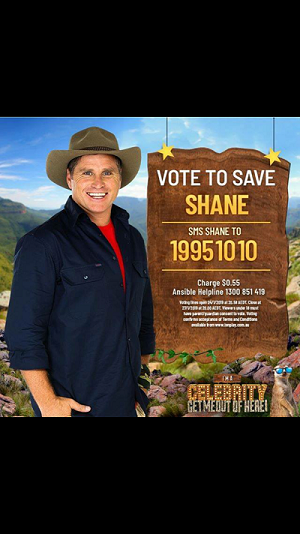 Keep Shane Crawford in the Jungle! If we want a beautiful garden, we must first have a blueprint in the imagination, a vision. Then that idea can be implemented and the external garden can be materialised. Hoping you have a good week. Hey @kezmusc, the Beacon Magazine only comes out twice a year now (next one coming out in April). You should be getting a monthly e-newsletter, Network News, however. That is going out this week so let me know if you don't receive it. Click on 'my email preferences' and update the subscriptions section to receive the Beacon and Network News. I also don't get the Beacon, I sent my new address but nobody contacted me or followed it up and I still don't receive it, not even my e-mail. Hi @melclarity, I have looked into this and found that whilst we had all your updated details you had unsubscribed from receiving emails from us. I have fixed this so you will now start receiving the monthly newsletter and Beacon. @Marianne_BCNA thank you, yes I recall stopping the e-mails, but I used to receive the Beacon in the mail, I only want the Beacon via e-mail to be honest nothing more. Thanks @Aggie & @melclarity .... knowledge is power. Know what to look for. Those who haven't been diagnosed with mets have no real reason to research it, @Patti J. Of course there needs to be more research into why people get metastatic breast cancer. That is obvious. Knowledge is power, no matter what your condition. Most research dollars are spent on early stage breast cancer. You should now only receive the Beacon. Let me know how you go.